Dock Street Brewing's canning facility at 705 South 50th Street in West Philadelphia. Dock Street Brewing, the Philadelphia staple made famous as one of the country's first post-Prohibition craft breweries, is expanding beyond its brewpub and production space on Baltimore Avenue. Rosemarie Certo, Dock Street's president and co-founder, told Philly.com that a new location is set for Washington Avenue – the warehouse at 2118 Washington Ave., to be exact, sitting between Graduate Hospital and Point Breeze. Not unlike the effect that old warehouses-turned-breweries have had on industrial areas throughout Fishtown and Kensington, Certo hopes Dock Street's second location will help breathe new life to the Washington Avenue corridor which is blighted with abandoned buildings. Dock Street's existing Cedar Park location, which added a cannery last year, will remain in business throughout and after the opening. The new space marks several big changes in the way things currently operate for Dock Street, Philly.com reported. The canning operation will move entirely to the South Philly space, and most production will also move to South Philly. The original Dock Street will continue to serve limited-run beers on-site or in keg sales. The shift also means more beer. The bigger space, clocking in around 10,300 square feet, will enable Dock Street to go from producing 2,000 barrels annually to 9,000 barrels. 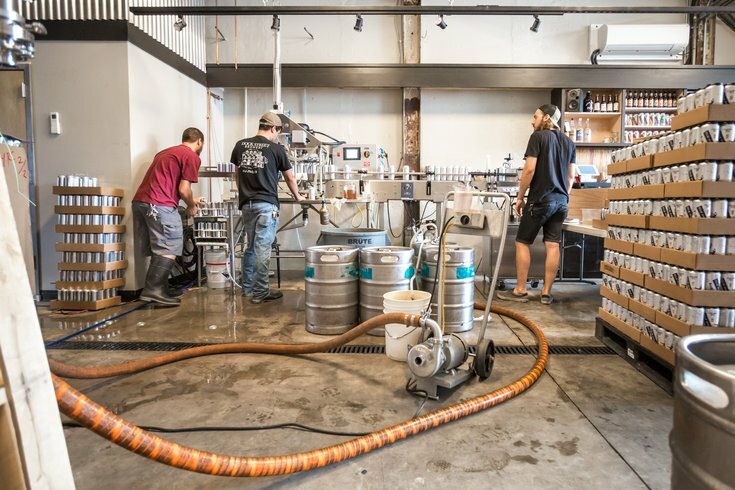 The expanded production space will also be home to a taproom open to customers. We should see the new space come to life in Spring 2019.